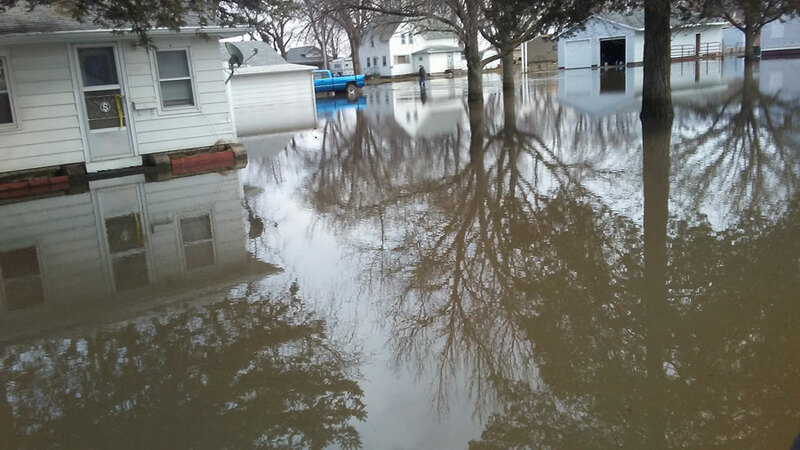 Residents of Hornick were able to see their flooded homes Sunday. Residents of flood-striken Hornick were allowed back in the western Iowa town for a few hours today so they could survey damage to their homes. Electricity to the town is still turned off, so residents had to be out before sunset. Dale Ronfeldt is a volunteer firefighter who has lived in Hornick since 1979. He allowed local media into his home which still has water in the basement. The last major flooding in Hornick happened in 1960. 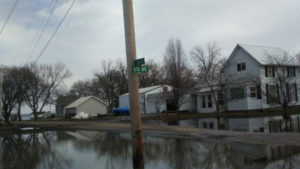 After a flood threatened the community in 1996, the town constructed a dike to protect the town. “He’s not going to rebuild and I’ve heard that from a few others,” Ronfeldt says. The town’s water supply was not swamped by flood waters, but crews from MidAmerican Energy were in Hornick Sunday to start restoring power where floodwaters had receded.